Player registration for the 2019 season has commenced. Last season three Herts teams entered the BBF senior baseball leagues. How many teams will represent Herts in 2019? 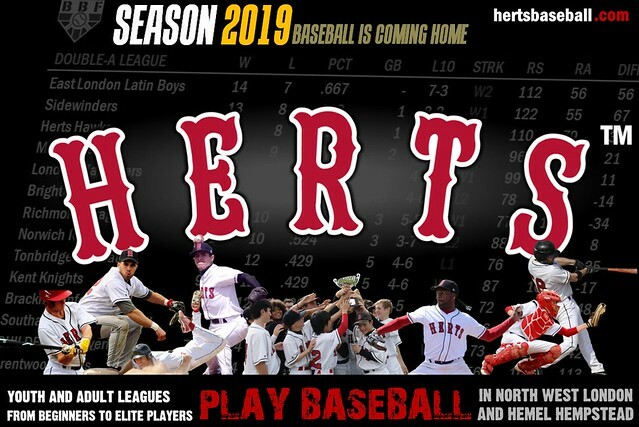 The next few weeks will be critical to see how many players will register to play for Herts in 2019 and on the basis of this the club will decide how many teams to enter before the BBF league entry deadline, and which leagues the teams will play in. * – these are preliminary dates. The BBF will be making its official announcements in due course. The British Baseball Federation launched the Super League in 2017. 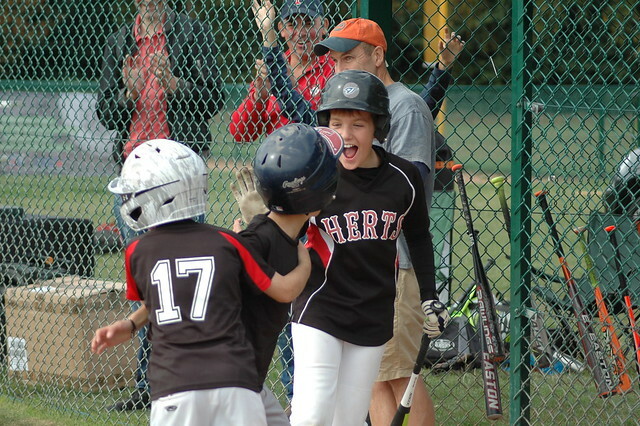 It enhanced the youth baseball regular season and it is expected to be even more exciting in 2019. Many of our youth players will be moving up to the next age group to face a different challenge in 2019. They will be joined by the new players who are joining the club every week. The Herts youth teams welcome boys and girls aged between 4 and 17 from complete beginners to experienced players. In 2017 Herts Baseball Club launched its softball programme which has enabled the club to offer playing opportunities to a much wider audience and to women in particular. Slowpitch Softball is the more recreational version of the game, which is equally appealing to male and female players. Softball is a social and enjoyable game that’s easy to learn and play, even for people who are not “athletes” or don’t have much experience of team sports. The fact that men and women play together in the same team and on an equal level gives the sport a social buzz. Softball Spring Training will commence in February. The first few sessions will be indoors. All equipment will be provided so anyone aged 14 and over can come and enjoy the day, meet new friends and try a new sport. These will be followed by indoor softball pre-season games. For more details about the Herts Softball Programme click here. If you are interested to come and try softball at any of the upcoming open sessions contact us and we will provide you with full details and add you to our mailing list. In case you have not heard, the Boston Red Sox and New York Yankees will be playing two MLB official league games on 29 and 30 June 2019 in London. This is the first time that MLB games will be staged in Europe. Various events and activities will take place as part of the MLB London Series and details will be announced in due course. For now, baseball fans are advised to pre-register not later than 4:59 pm on 29 November 2018 in order to be eligible to access pre-sale tickets when they go on sale at 10:00 am on Monday, 3 December 2019. Click here for full details. The first Herts baseball team based in North West London is set to make its BBF League debut in 2019. The club is in the process of securing the NW London ballpark and putting all of the components together in order to unveil the team in time for Opening Day. 2019 Player Registration has just commenced (see details below). The online registration form will ask each adult and youth player to indicate whether they prefer to play their home league games in Hemel Hempstead or in NW London, or whether they would be happy with either. This will provide vital information to club management about how to go about forming the first team which will play in NW London without affecting existing teams based in Hemel Hempstead. 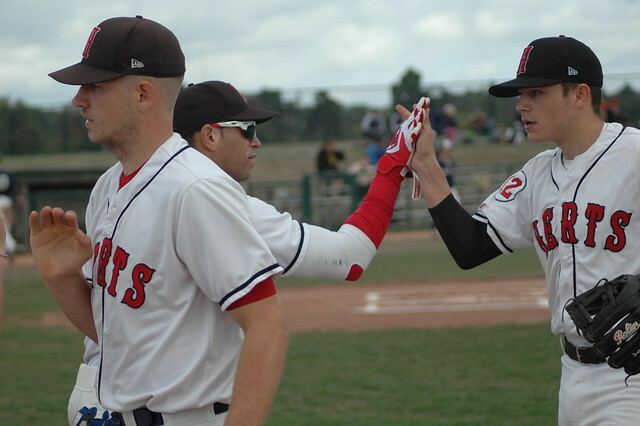 Herts Baseball Club has commenced the 2019 registration process for adult and youth players. For those who already have a Herts Online Clubhouse account they will be prompted to register when they log on next time (click here to go to the Herts Online Club House and log on with your existing username and password). Those who are new to Herts and do not have a Herts online account will be able to register as members by completing this form. For more details about joining our teams in 2019 click here or contact us. Previous Topic: What name should the new Herts NW London-based team adopt and which league should they play in?